and in fact is recommended by Usinor for in ground swimming pools. Just by look and feel of these panels the quality is apparent. pool liner 75/100 in either green, blue, light blue, cream, white, or grey, felt and glue. 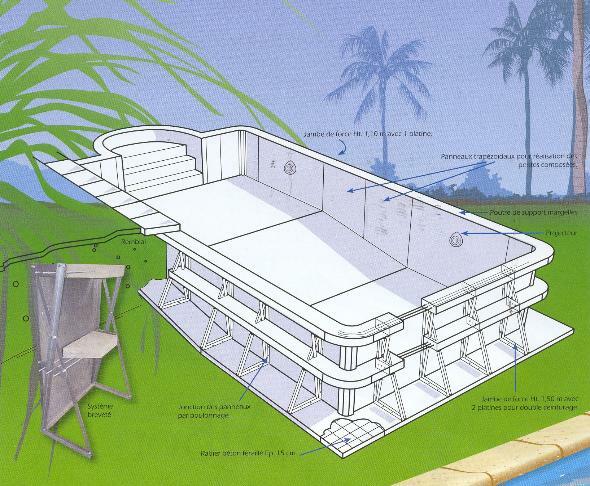 as this varies dependant on position of pool and pump house. also available. Flat bottom is the easiest if you have never taken on a project like this before. If you have more experience, deep end kits are available as shown. i.e. After 2 years only 80% of cost would be paid. one 13mm spanner, a drill and a screwdriver.